Polyester Dust Filter Bag (PET filter bag) The most common used and cost effective filter felt in modern pulse jet style baghouses. Typical applications range from cement plants to electric furnaces. It has a normal maximum continuous operating temperature is 130degrees. Polyester filters offer very good resistance to chemicals, abrasion, and dry heat degradation. 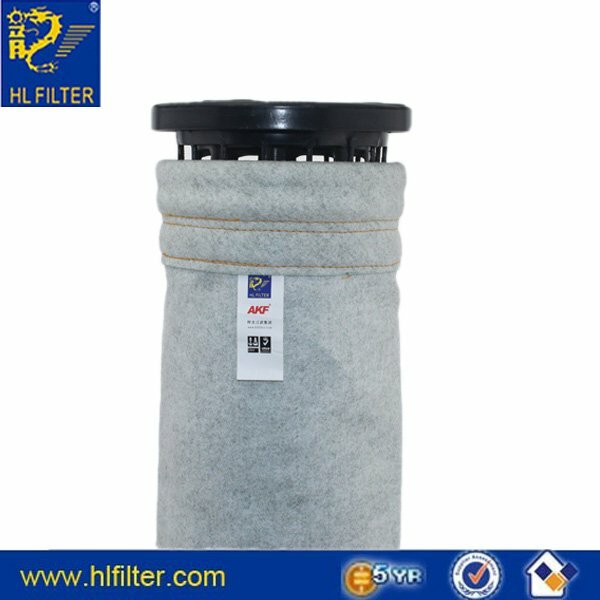 This filter is good for dry heat applications and superior to other synthetics with the exception of Nomex (Aramid) and Teflon in this regard. Polyester Antistatic dust filter bag is not a good choice for moist heat and subject to hydrolytic degradation under certain circumstances. Polyester offers good resistance to most mineral and organic acids except high concentration of nitric, sulfuric, and carbolic acids. It has good resistance to weak alkalis and moderate resistance to strong alkalis at low temperature. oxidizing agents and excellent to most organic solvents. It is not recommended for some phenolic compounds.